During this amazing period when everything “has to be” smart, from phones to washing machines, watches producers also moved in this direction. In few years we have seen simple watches to become very advanced, with functions previously attributed to other devices. Now the web is full of smartwatch for all budgets. The differences among them are often linked to the simplicity of use and the ability to connect with the various mobile phones. Advanced users can make clear distinction between those devices that integrate smart features and others that incorporate less convincing sports functions. Today, we have tested the DT – N.1 smartwatch F5, with sport functions, good looking appealing and “smart” price. Here is our opinion of this new smartwatch. After reviewing the Garmin Fenix 5, in the last three months we have been working on testing the No.1 F5 smartwatch. The new F5 smartwatch is a low cost GPS, coupled with good appealing. 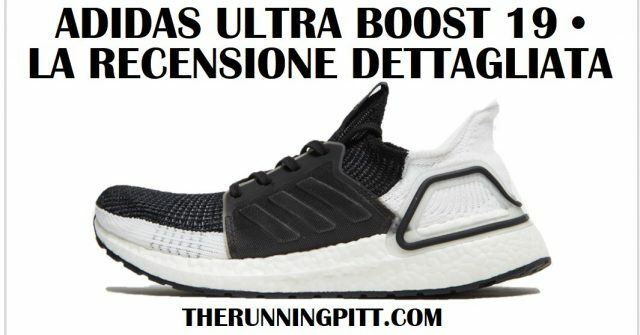 Thanks to the ecommerce development, the Chinese manufacturer DT has managed to cut the distribution chain, offering to all Runners something remarkable. For those runners who are not willing to spend half of monthly salary in a high-end GPS watch, this is an unique value proposition. In our article, we are going to call the smartwatch F5, for sake of simplicity. 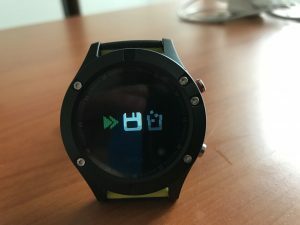 But the reader should not be deceived by simplification: even if it looks similar to the Garmin Fenix 5, we are actually talking about a completely different product. It is so different that it would be more logical to compare it to Xiaomi Band 2, with additional functions. What are the F5 main functions in detail? And which ones are missing? to whom do we recommend it? What limitations have we encountered in our daily use? And are the optical sensor and the GPS accurate? And how is an activity tracker positioned against the competition? As a disclaimer, the Chinese company DT has provided us with two free F5 models, with which we have carried out the main tests of the review. 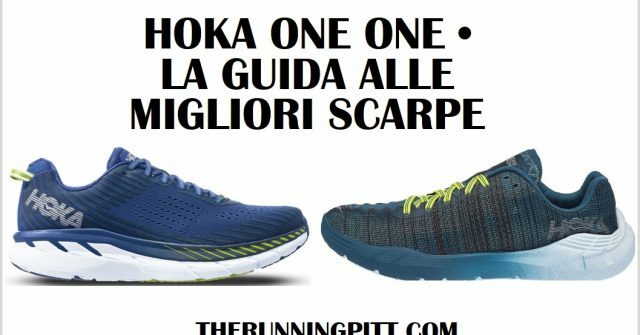 Despite being only advanced amateur runners, our analytical knowledge helps us to easily spread new technologies, one of the main objectives of the site, as well as allowing runners of all levels to run better. Unboxing. The F5 is included inside a white box with many small icons. 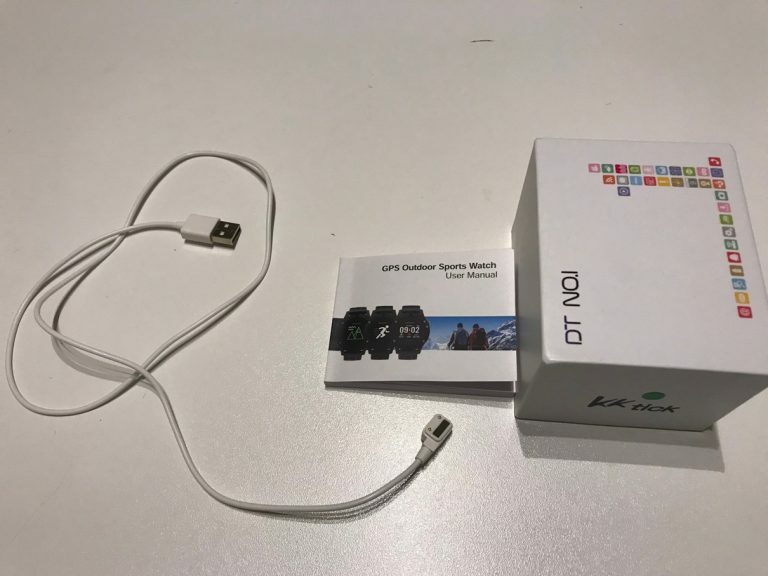 The watch can be taken out from the package in which you will find a USB charger cable and a multilingual document. The manual includes few pages to explain how the various menus work and above all, how to use the F5. Simple but quite good document. In some languages translations look strange, but in general we believe the manual includes good information. USB cable. The box also contains an USB cable. To be honest, especially if you plan to use the F5 only for walking, you do not really need the cable. Initially we wanted to wait for the battery to finish before writing the review. But eventually we gave up: we would have risked that the manufacturer would have launched new models. In fact, despite the main functions always active (email notifications, chats, steps and cardio) after 8 weeks and various workouts with the GPS the battery was still working. We confirm that the battery life is F5 strong point, up to 12 hours with GPS and many weeks as smartwatch. The manufacturer indicates at least 3 weeks of daily usage, but it is definitely more. Usage. The F5 menu and its functions convince us for its simplicity. The smartwatch takes advantage of two side keys and the touch screen. Compared to other models of the same price range, we are certainly at a higher level. The strap is comfortable, soft and silky, it does not create problems with long sleeves thanks to the case limited thickness. It has a quick release system for replacement with other models or for more thorough cleaning. This is really a strong point, even if turning on the clock you understand that the 0.95 inch display is low cost, 96 * 64 Oled color display. The website indicates as specs 180 gr, but in reality we are talking about 43 gr weight. make sure to synchronize the smartwatch with the phone app. It can be downloadable both on Android and Apple. The app is called H+. Phone app. The app is in constant communication with the phone and it is very intuitive. We have carried out tests with both Android and Apple and we believe the connection works well. Moreover, we do not see any major influence on the battery, both on the phone and on the watch. The Bluetooth signal is relatively powerful. Some texts translations could be improved, but in general this is great. Search for the satellite. As for hooking up to the satellites, read carefully the following. Otherwise you will be risking big headaches. In our running experience we know that waiting for the search for GPS is the most frustrating element of the whole running, but we still invite you to wait for the little man in the screen to stop blinking. Your experience will be dependent on your patience. If you start running before the watch finds the satellites, forget the precise route measurement. What not to do. If you do not have time to wait for the satellites to connect, GPS accuracy will be very low, with an error of 20 percent at least. The test of the running in this case was a disaster, despite training in open spaces, the GPS was not connected providing completely incorrect information. The error was assessed both for the personal knowledge of the routes and the comparison of the data collected through the simultaneous use of a Garmin 935 and a Tomtom Spark 2. 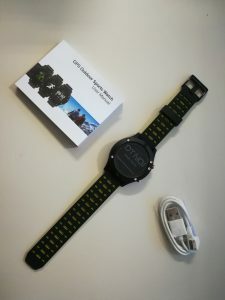 Since the watch does not connect to the GPS, the distance calculation was based on the accelerometer. Consequently the no.1 F5 will not provide accurate values. Satellite docking. The hooking of the satellites takes a relatively long time, certainly between 3 and 5 minutes if you move from one location to another and between 1 and 2 minutes if you run in the same place every day. For now there are no options to save our terrestrial positioning, so the GPS will be forced to perform the search every time. If you are patient enough or lucky enough to find satellites quickly, our impression is that the F5 has an error of no more than 1-2 percent compared to a premium watch. This error will be lower especially when running in open skies and slightly higher in cities. Data display. During the run you will have 3 fields available for each screen. Unfortunately, the data are not configurable, even if 4 screens are really sufficient for most users. We found difficult to change screen just because you have to press on a precise point on the GPS, exactly on the word “sport” at the top. We also found the evening display really excellent, while the experience of running on sunny days was much less pleasant, the brightness and contrast of the screen did not allow easy reading of the data. There is a configuration to limit the display time of the data, we suggest extending it to at least 15 seconds to avoid not being able to view the data for more than five seconds. Split mileage. One of the things we did not like is the lack of the kilometric/mileage split. There is the possibility to set a goal, but this does not calculate the average time after each kilometer. 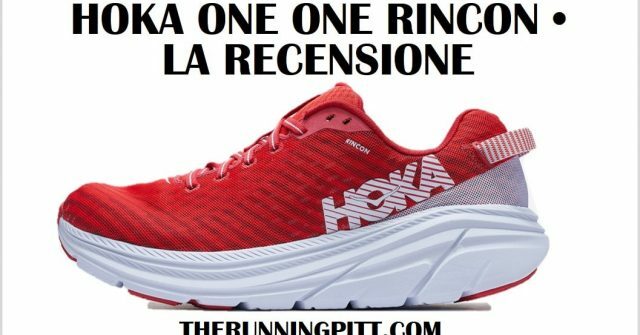 We hope that in the next software releases the Chinese company can release new features to correct this error, also because this is the first function required by every amateur runner. Data sharing. In addition to potentially incorrect GPS data, the data remains only in its proprietary application. Sharing consists of a simple image without the possibility of extracting a file suitable for platforms such as Strava. We found this solution very limiting for those of us who want to monitor all the running parameters. 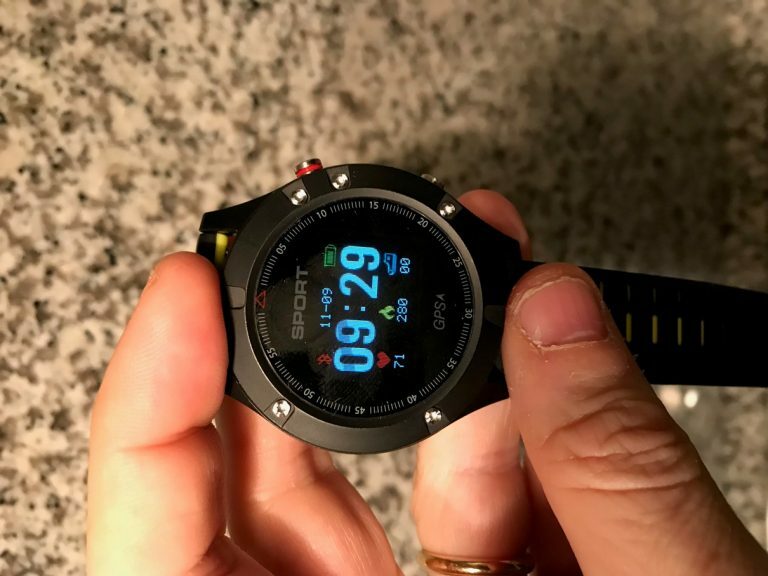 As soon as the training session is over, the watch provides some information on the run, but you will not have time to analyze it given the rapid transfer of data to your smartphone. In addition to running data, the F5 provides information on ambient temperature, atmospheric pressure, altitude, heartbeat, sleep, smart alarm system, smartphone notifications and supports various sports. Are all accurate? Smartphone notifications and alarm. This is definitely the strength of the device. We have worn the no.1 F5 several days in a row, notifications work really well. Even leaving the watch in the suitcase we can feel the vibration at several meters distance. The same applies to the alarm clock, which can be configured both from the watch and the app. Even the activity tracker is not bad, we estimate a small error measuring the steps of 2.5 percent, but all in all this is really acceptable. Finally, the measurement of the duration of sleep is slightly underestimated, we find that the Xiaomi band is more accurate. Precision Cardio. We have already talked about the accuracy of the GPS, let’s discuss quickly cardio’s accuracy. Unfortunately, since the data could not be extracted, our calculation was not carried out analytically. But in summary the data at rest is very accurate. As word of caution, we all know that accuracy depends on many factors related to the person wearing the watch. On the low-speed run, the data is underestimated by 5-7 bpm, while in intervals running you will find the same problems as the premium watches. In other words, do not rely on cardio in such condition. The only negative element is that F5 does not allow to associate accessories such as the cardio or foot pod, despite being Bluetooth 4.0 compatible. Various data. The other data are relatively accurate, but as runner, do not expect to use this information (temperature, pressure, altimetry) for detailed analysis. In summary, we think that the DT No.1 F5 is an excellent device for those who want to analyze roughly running data and is not willing to spend a lot to do it. Comparing specifications and price, it is difficult to find something similar. In terms of data accuracy, we think features are basics: the instantaneous pace is relatively variable and we do not think it will be useful in racing. On the other hand, distance measurement is decent, if you are willing to wait for the satellites to hang. Measuring heart beats is also quite consistent, especially at slow pace. 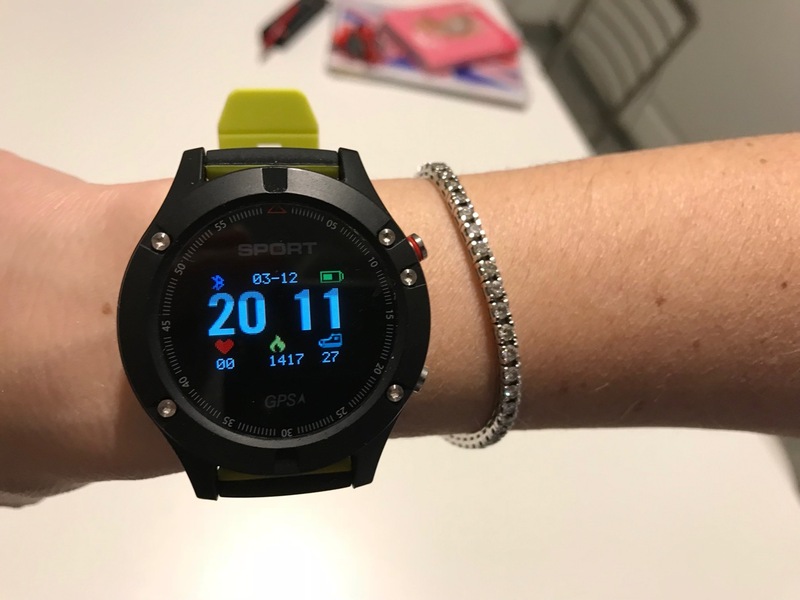 We recommend no.1 F5 to those casual runners who want a watch mainly for notifications, pedometer and cardio detection but not for athletes or data driven fanatics who desire to keep their activities under control. Its visual appealing, price and battery certainly make it one of the best non-sports budget smartwatches. 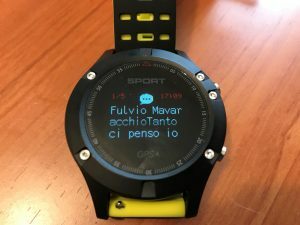 F5 smartwatch is not available in sports stores. You can however buy online on Gearbest and Aliexpress, and also on Amazon. In the following links we have indicated the main links for purchases, with prices around 40-70 euros.